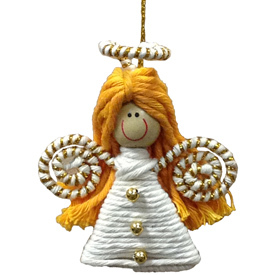 This string angel ornament is the most beautiful angel. She has gold trim and buttons. 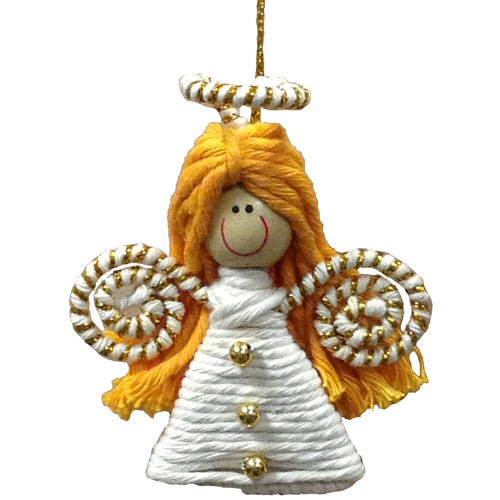 Put her on your tree and you will smile every time she catches your eye.